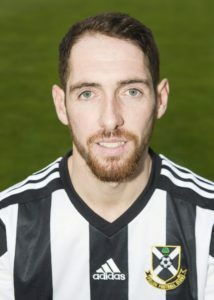 After being picked up from the youth ranks, Striker Stefan had a season with Airdrie United in 2008-09 and after returning to underage football thereafter, stepped up to Junior level with Lanark United in 2010. He then played in Shotts’ Cup winning side of 2012, and sealed a return to Senior football, turning out for Clyde, Morton, Peterhead and Alloa, netting 25 times in 140 or so appearances. He signed for Lok in the summer of 2017 and after a successful first season, re-signed for the 2018-19 campaign.